Wahbi Khazri hopes to seal a Premier League move after the World Cup. 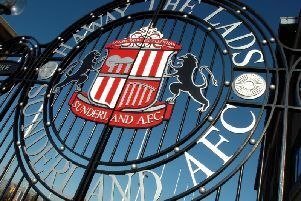 Khazri seems certain to depart Sunderland this summer, with the player eager for a fresh start and the Black Cats eager to get his wages off the books. The 27-year-old will not make a decision on his future until after Tunisia’s participation in the World Cup is over. They have been knocked out already, following Saturday’s 5-2 defeat to Belgium, but still have a last Group G match against Panama to come, on Thursday. Khazri scored and assisted in the North Africans’ defeat to Belgium, and impressed during a season-long loan at Stade Rennais last season. The Brittany-based Ligue 1 side would like to keep Khazri, but have accepted that they are likely to be priced out by bigger clubs. Besiktas are keen on the attacking midfielder, while Marseille and Monaco have been linked with a move. Khazri, however, has said that a move to the Premier League would be his top choice. He said: “It’s not easy for a Tunisian to play in the Premier League, so I feel privileged because of the opportunity I’ve had. “Now I am focused only on the World Cup, but I would like to continue playing in English football, if I can.